The MP was reportedly in Yumbe with other South Sudan MPs to consult on the ongoing national dialogue. File photo. 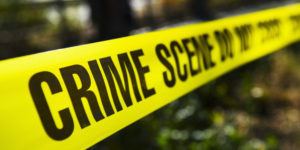 Unknown gunmen crossed into Yumbe District in Uganda on Wednesday night and shot dead Jacob Kuwinsuk Gale, the Member of Parliament for Yei River State Transitional Legislative Assembly. According to Mr Alfred Kenneth Duku, the Minister of Information, Culture, Youth and Sport for Yei River State, Kuwinsuk Gale was in Yumbe with other South Sudan MPs to consult on the ongoing national dialogue. While no rebel group has claimed responsibility for the killing, minister Duku said the legislator was killed by elements loyal to former vice president Riek Machar. “The late was rushed to Midigo health facility but died enroute to Arua hospital,” Mr Duku said. SPLA-IO has, however, denied responsibility for the killing. SPLA-IO spokesperson Col Gabriel Lam Paul said: “The SPLA-IO does not operate abroad especially in Uganda where the government protects and provides security of the South Sudan refugees. Our thoughts are with the family of the MP,” said Col Lam. The SPLA-IO controls the Ugandan border areas stretching from Yei to Kajo-Keji areas although another rebel group of Martin Kenyi also operates in Kajo-Keji. The deceased MP served in the State Transitional Legislative Assembly as the chairperson for members’ affairs, gender and human rights committee. The assassination of the legislator is a blow to the ongoing peace process in South Sudan. The deceased was in the country as part of efforts to convince refugees to return to their country. The move follows the setting up of a peace committee by South Sudan president Salva Kiir. The committee was tasked to, among others, revitalize the collapsed 2015 peace agreement. Since fresh fighting broke out in Juba in July 2016 that scattered the August 2015 peace agreement, rebel groups keep on coming up; the number has now reached 11. Experts on South Sudan say that this is an indication that the August 2015 peace agreement signed by the three groups—President Salva Kiir, rebel leader Dr Riek Machar and former detainees — did not take into consideration many other grievances in the country that are now coming to the fore.